We are delighted to introduce our Duck & Potato dog food for adults and senior dogs which contains high-quality natural ingredients and is designed for pets to thrive. This grain-free diet has been carefully crafted in response to market demand and is developed by Veterinary Surgeon, John Burns. 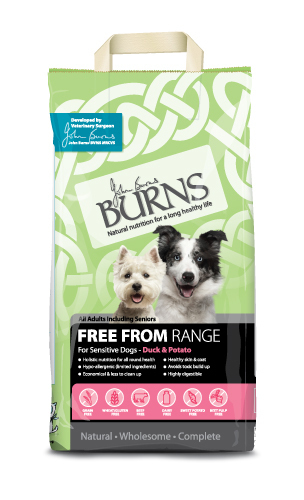 Grain-free, gluten-free and dairy-free, without sacrificing any of the usual health benefits that exist in Burns food. That�s the concept behind the new diet.